Robert was nominated for Best Supporting Artist at the UK Theatre Awards 2017 for his portrayal of ‘Giles’ in HOUSE & GARDEN at the Newbury Watermill Theatre. He recently played the role of ‘Author/Neil’ in the UK Tour of THE HABIT OF ART. He also played ‘Jerry’ in Harold Pinter’s BETRAYAL at Salisbury Playhouse , and other work recent work includes: ‘Shyham’ in ANITA AND ME (Birmingham Rep/Touring Consortium) and sell out performances of his solo show VAGABONDS – MY PHIL LYNOTT ODYSSEY in Dublin. Previous Theatre Credits include of ‘Colonel Tariq’ in THE DISHONOURED at The Arcola, ‘Macbeth’ in MACBETH for Tara Arts, ‘Friar Francis’ in MUCH ADO ABOUT NOTHING for the RSC. 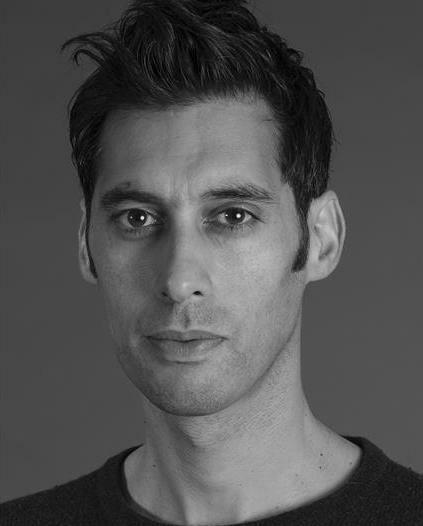 His Television Credits include regular ‘Hussein Ali’ in Channel 4’s North Square and more recently ‘Geoffrey Buruma’ in HOLBY CITY, ‘Jamal Jennings ‘ in SILENT WITNESS, ‘Max Niven’ also in HOLBY CITY, ‘Dr Singh’ in EASTENDERS, and ‘Mr Patel’ in ONE NIGHT all for the BBC.